Located in the London Borough of Havering, Romford is a large town in East London. With a population that’s approaching 100,000 and superb access to central areas of the English capital, there’s a strong property market in the area. At My Home Move Conveyancing we’ve been developing our knowledge of markets like Romford’s since 2001, allowing us to bring our clients in the town an outstanding, specialist conveyancing service. When buying or selling property in Romford, you need to instruct property lawyers to carry out the legal work for you. 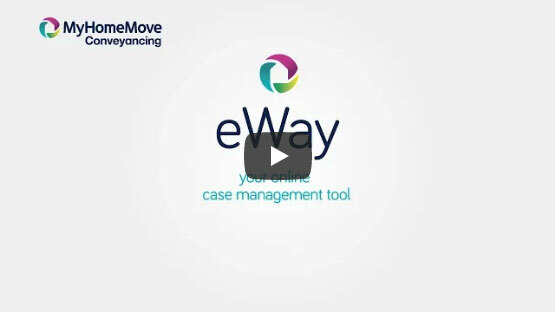 My Home Move Conveyancing offers our clients in Romford an award winning level of customer service, innovative use of technology and intimate knowledge of the local market. Our fixed fee conveyancing service comes with no extra hidden costs to worry about. When you choose us to be your Romford conveyancers, you’ll know exactly how much you’re going to pay right from the start. For extra peace of mind, if you don’t end up completing, then you won’t have to pay us a thing in legal fees. We’ll assign you a dedicated conveyancer, who’ll take care of all aspects of your case right through to completion. You’ll have a consistent point of contact and regular, easy to understand updates, as well as 24-hour access to your account online. At My Home Move Conveyancing we proudly and professionally assist homebuyers with our conveyancing services in Romford, whether you want to be close to the town centre and the train station, or in a neighbourhood such as Heath Park, Collier Row or Rush Green. The average house price in Havering is £353,659, while the overall average sale price in Romford during the last year was £328,941. Most sales in this period involved terraces, which went for an average of £346,428, while flats fetched £229,224 and semi-detached properties sold for £381,256. With a name linked to the crossing of the River Rom at which Romford was founded, the town was granted a market charter in the mid-13th century. Initially an agricultural area for the most part, Romford is known for its importance in the leather industry from the 15th to the early 19th century, and as a coaching town. The railways arrived in 1839, which brought lots of growth to the town, as did the expansion of London as the English capital spread out. The modern Romford is one of the biggest commercial, retail, entertainment and leisure districts outside Central London, although its close proximity to the capital is still a huge draw for house hunters. Trains to Liverpool Street station take just half an hour, while there are a number of stations on the London Underground’s District line just to the south of Romford. If you have a car, the M25 can be reached via the A12 road which passes through the northern part of town. There are some highly rated schools in the local area for families with children to choose between, with options for younger pupils including St Peter’s Catholic Primary, St Edward’s CofE Primary and Crownfield Junior School. The Royal Liberty School, Marshalls Park School and St Edward’s CofE School and Sixth Form College are among the choices at secondary level, while London’s selection of universities is on the doorstep if you’re looking for higher education facilities. All properties in Romford will fall within one of the following council tax bands.